If you want to know how to get somewhere here is a Link to a Journey Planner. 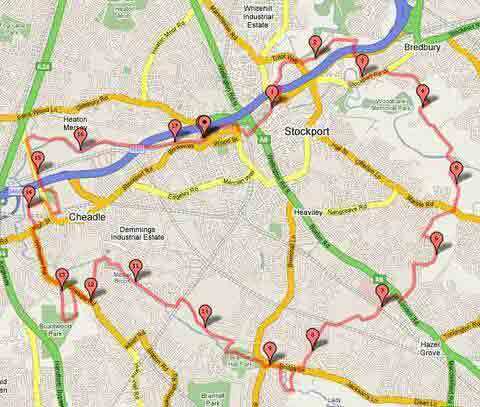 Cycle Stockport has identified a possible 20 mile Route around Stockport. 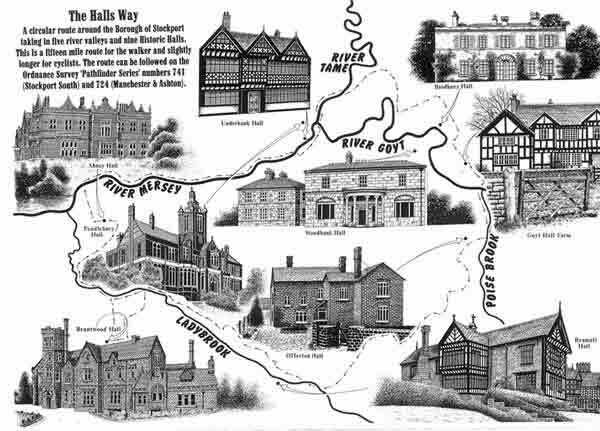 It passes close to many attractive old buildings and is mainly off road. We call it The Halls Route. - --- ----- -----More routes on the Community Cycling Club Site. ---- ---------Cycle Routes.com - A source of Nationwide Routes - Select your area. ------ Roman Lakes - publish a series of Mountain Bike Routes. -----------This is not a reccomendation but typical of the hundreds of Web Sites you can find. ................................ (There are many small companies that cater for cycling away from home. ...................................From Major Expeditions to gentle guided tours with luggage transported if necessary. ...................................Find them through the CTC and other web sites and cycling magazines.